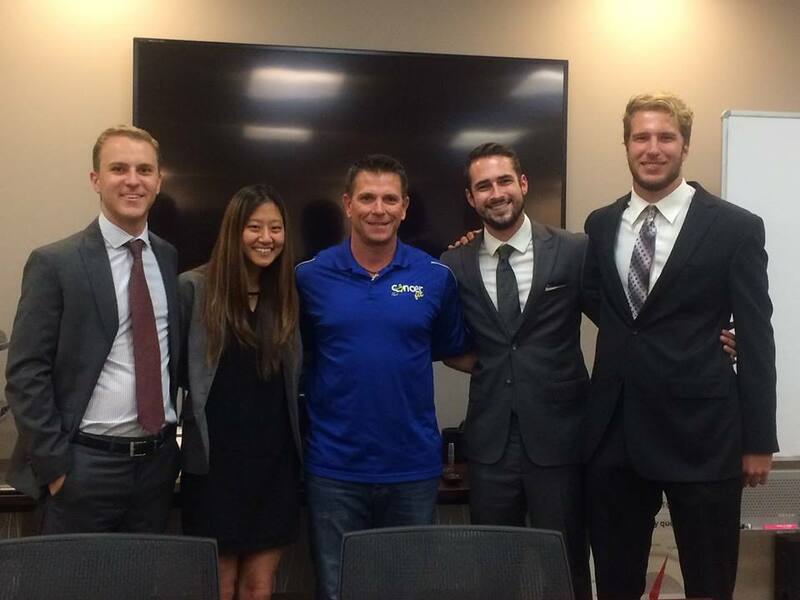 Our Pepperdine University students with the Service Leadership Program - Cancer Fit Inc.
Cancer Fit would like to send a big thank you to our amazing team of Pepperdine Students who worked through this Fall semester a part of the Service Leadership Programs to help develop a business & marketing plan to expand our MVP Sports Draft Program. One of there contributions included procuring a grant with which they purchased our new “A” frame signs for our MVP special events. Thank you Alexander Reiten, Kelsea Lee, Micah McDowell and Steven Beltramo. !